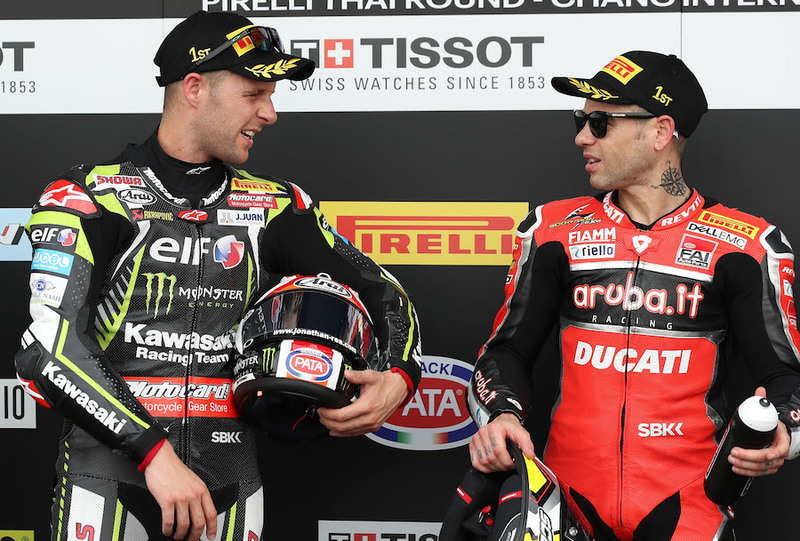 Alvaro Bautista (Aruba.it Racing – Ducati) looked like winning the Tissot-Superpole sprint race at Chang International Circuit on Sunday lunchtime even if it had reached its full ten-lap duration. He got to win it four laps early in any case, after a red flag was thrown when local wildcard Thitipong Warokorn (Kawasaki Thailand Racing Team) crashed at turn three and needed medical attention. 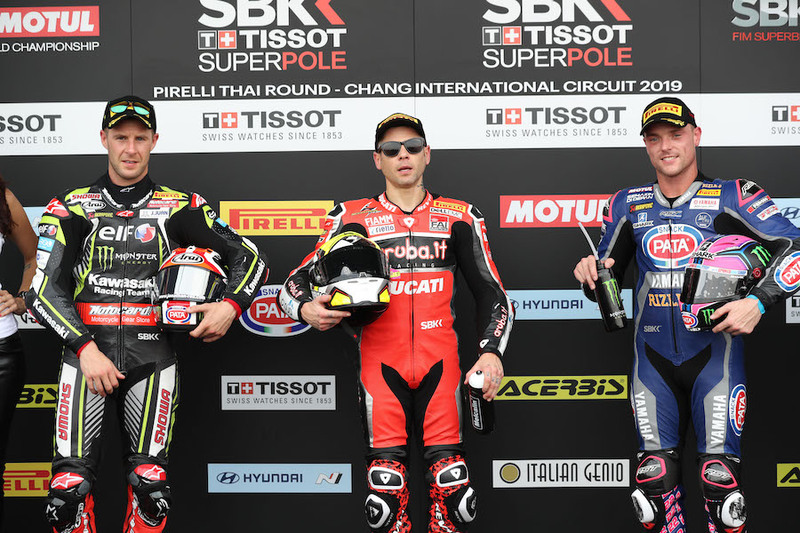 Jonathan Rea (Kawasaki Racing Team), chasing hard behind the leader Bautista, was classified second and the final podium place went to Alex Lowes (Pata Yamaha WorldSBK Team). 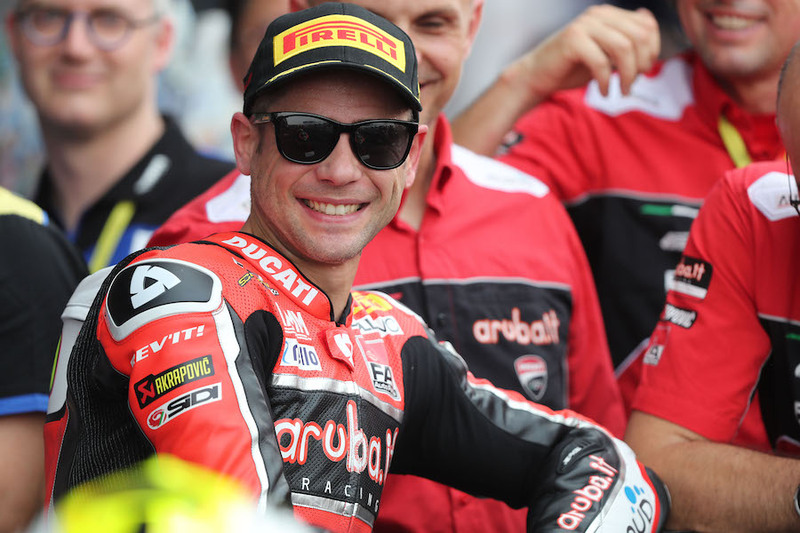 Lowes headed up his team-mate Michael van der Mark (Pata Yamaha WorldSBK Team) with Leon Haslam (Kawasaki Racing Team) in fifth place, winning a battle he did not know would be the last one at that stage, from Marco Melandri (GRT Yamaha) and Sandro Cortese (GRT Yamaha). 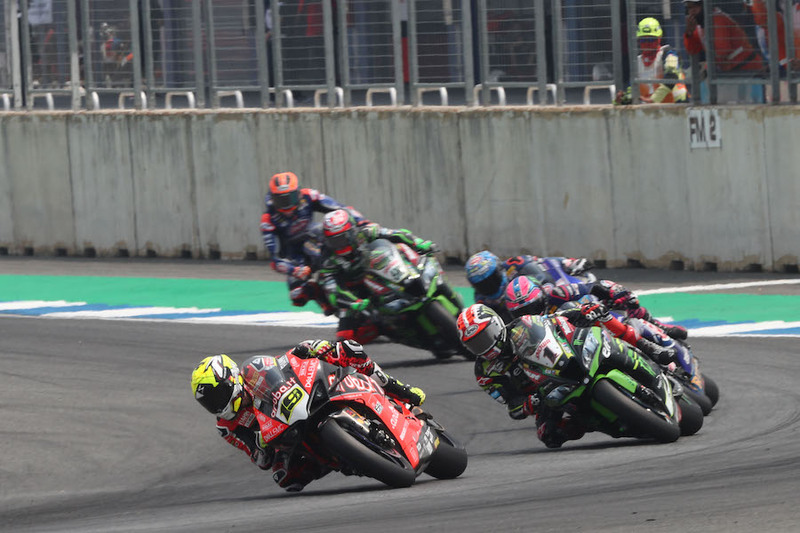 Still struggling by his own high standards, Chaz Davies (Aruba.it Racing – Ducati) was eighth, Toprak Razgatlioglu (Turkish Puccetti Racing) ninth and Tom Sykes (BMW Motorrad WorldSBK Team) tenth. The final 20-lap race two will take place later this afternoon, at 16.00hrs in Thailand.